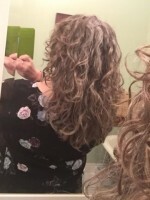 I am a former stylist but new to curly hair. My hair changed after a hormone change. 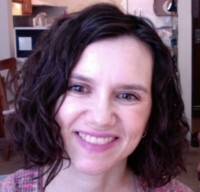 I have 2b hair and had my first deva cut two months ago and started the curly girl method. Everyone loved it and I loved it. As a former stylist I am baffled. My hair is healthy and moisturized and there is no build up. I just don't get it. You could try clarifying. Everything will eventually build up in your hair, even hard water, so it's good to clarify once in a while. You can use any sulphate containing shampoo (just be sure there's no silicones in it). If that doesn't work, then try a shampoo with C14-16 Olefin Sulphonate. There are things that a regular SLS won't remove, but the C14-16 stuff will. Did you have another Deva cut with the same stylist? Or did you go to a regular stylist for your most recent cut?